your information. 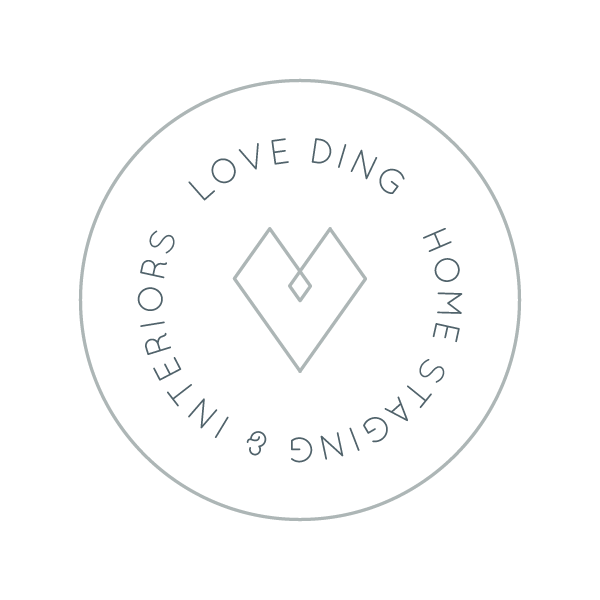 The terms “we,” “us,” and “our” refers to LOVE DING, LLC. The terms “user,” “you,” and “your” refer to site visitors, customers, and any other users of the site. The term “personal information” is defined as information that you voluntarily provide to us that personally identifies you and/or your contact information, such as your name, phone number, and email address. We also collect aggregate data, such as anonymous usage statistics, by using cookies, server logs, and other similar technology as you use the Service, and we own all rights to such information. We may also collect information about you from other outlets and mediums (like social media, events, etc.) and we may add that information to information you give us through the Service. If you are a Client, you may also be asked to take the Design Quiz so we can learn more about your style preferences. If you provide us with any photos, images, dimensions, room layouts, etc. we will collect and store that information as well. As Required By Law and Similar Disclosures: We may access, preserve, and disclose your information if we believe doing so is required or appropriate to: comply with law enforcement requests and legal process, such as a court order or subpoena; respond to your requests; or protect yours', ours' or others' rights, property, or safety. We will store user data for as long as necessary to provide the Site to you and fulfill the purposes described in this Policy. This is also the case for anyone that we share your personal information with and who carries out services on our behalf. We may also retain aggregate information beyond this time for research purposes and to help us improve our services. You cannot be identified from aggregate information retained or stored for these purposes. We do not rent, sell, or share personally identifiable about you with unaffiliated third parties for their direct marketing purposes, unless you have opted into such sharing. We may allow access to other data collected by the Service to enable the delivery of online advertising on this website, or otherwise facilitate transmittal of information that may be useful, relevant, valuable or otherwise of interest to you. We may also anonymize and aggregate data collected through the Service and use or share it for any purpose, including for marketing purposes. There are various data processing operations that need to be performed in order for us to deliver, develop and ensure the continuity of our services (i.e. credit card processing, sending monthly newsletter updates). Some of these operations have been outsourced to trusted third parties. This section outlines the parties whose services we use in executing our customers’ data processing instructions and/or for certain of our own data processing purposes. We refer to it as our “Sub-processor List” and each entity on it as a “Sub-processor”. The table below outlines who our current Sub-processors are, what their role is (the nature of the services each of them provides us), where are they located, and where their data processing operations are performed (e.g., where they store the data that we entrust to them, including, where applicable, our customers’ data). The Right to Be Informed. You have the right to be informed of the Information we process about you. The Right of Access. You have the right to request access to the Information we process about you, which will be provided to you within one calendar month. The Right to Rectification. You have the right to request that we amend or update your personal data where it is inaccurate or incomplete, which will be updated within one calendar month. The Right to Erasure. You the right to have the Company delete your Information. This request will be completed within one calendar month of your request. The Right to Restrict Processing. You have the right to request that we temporarily or permanently stop processing your Personal Information. This request will be fulfilled within one calendar month. The Right to Object. You have the right to object to us processing your Information on grounds relating to your particular situation or for direct marketing purposes. A formal response will be given within one calendar month. All formal requests can be submitted via email to hello@withlovefromding.com.